We had the boys and earrings conversation today and I’m a bit unsure of how to proceed. My boy is 9 and a half and has developed a personality that likes to “stand out from the crowd”, as he puts it. 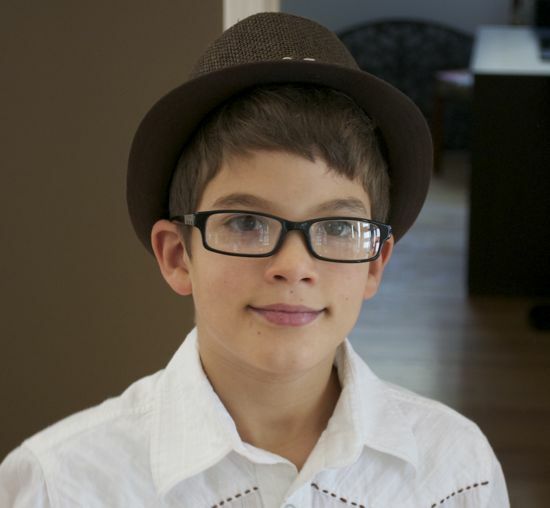 As part of this personality, he’s taken to wearing a short-brimmed hat when we go out to special occasions. He gets used to people remarking on his hat and he likes the attention. Now he wants an earring to add to his charm, good looks and stylish dress habits. We like to think we’re fairly progressive parents when it comes to lifestyles and we’re cool with earrings. We’ve talked about the time I tried to pierce my ear back in my twenties. Problem was, it never healed properly so I was constantly dealing with bleeding and gross ooze. Maybe I was allergic or just not meant for piercings, so I let it heal over and moved on. The bigger issue is the whole standing out from the crowd. Nothing wrong with that, of course, but kids can be cruel to anyone who is different for any reason. My boy used to wear a ring, probably in retrospect an early manifestation of this standing out from the crowd thing. But that didn’t turn out so well. But we wanted him to think it through and prepare himself for how he might be treated by the conforming masses might confront him. We did a Google search and found some boys with earrings. 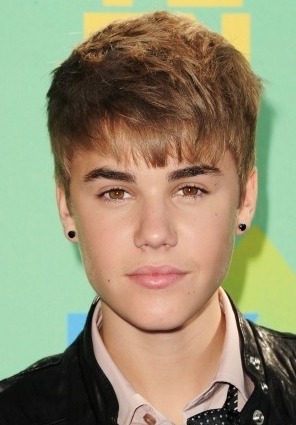 “J Beebs has two, cool,” Ben said, seeing the Beibs with both ears pierced. Beckham also sports two earrings as well as Will Smith, “oh, that guy from Men in Black”. Maybe Zac Efron was sporting one in an image we found. We also stumbled onto Chris Anderson, but that’s a whole other conversation. So, not that many guys with earrings as role models. Certainly, not too many kids. But I wanted to know how he would he handle it when the kids at school made fun of him or accused him of being gay because he wore earrings. We watch Modern Family and have lots of gay friends, so he knows being gay is great if that’s what you are. “Not many boys have earrings and the kids may say you’re gay. How will you respond to that?” I asked him. “Just because you have an earring doesn’t mean you’re gay, dad.” OK, I can live with that response. Then I try on the “and what’s wrong with being gay anyway” part. He’s not quite ready to advocate for gay rights in grade 4 – which I get. No problem. But he’s thinking about it. What matters most to him, he says, is what his family thinks about him, not his friends. If I could only record this and remind him in a few years. We’ve arbitrarily set his 10th birthday as the time when he could get his ear pieced. We don’t want to rush into it and want to give him time to decide this is really what he wants. But, in the end, why wouldn’t we let him? What do you think? Any experiences you’ve had with similar requests from kids? Please share in the comments below. Good for you for letting him express himself. We’re trying. But maybe we should tell him to wait until he’s 12 and maybe he’ll change his mind by then. 12-15 can be tough years. First, as a kid who wanted her ears pierced 40 years ago – my parents finally consented after I had begged them for some time – as a birthday gift, and only if I would have it done by my doctor, for safety reasons. Second, as a teacher I have a particular reaction to 6-year-olds whose ears are pierced (the reaction is about the parents’ priorities and willingness to be adult parents), but I don’t have that same reaction to 9 or 10 year olds, who tend to have more independent thoughts. Third, if the earring doesn’t work for him, it can be removed, and the resulting hole is barely noticeable, and will close over eventually. Fourth, I read about parents whose 16-year-old wanted a tattoo. Parents said that they would sign the consent form when the child wanted the same thing tattooed for a year. Of course, it never happened. But tattoos are a different kettle of fish altogether. The idea, though, of making sure that this is a real desire, and not a whim, might be helpful to you. In the end, probably how you communicate your thinking and whatever your decision is, will be more important than the actual decision, in terms of your relationship. Thanks for these thoughts, Ellen. They are very helpful. The more I think about it, postponement makes sense. I’m worried that his openness to being different will be squashed by the intense pressure to conform that kids aged 10-15 are subjected to. More importantly, the conversation we are having about it is great. Hopefully it can set a pattern for similar future conversations. I really enjoyed this post, Jay. Unfortunately what celebrities can pull off is often very different than what the average kid or adult can in mainstream Edmonton. I look forward to the follow up post….when Ben gets his earring or when he changes his mind. Appreciate you sharing your story. Thanks, Jenn. I’m thinking we may try for postponement for a few years. My feeling is, if he really wants it, then postponement might make it easier. Up to age 15 or 16, there is incredible pressure placed on kids to conform. If he waits, he could avoid the taint that the pressure to conform will place on his style choice (if that makes any sense). Thanks for reading. He is all of those things, for sure. Thanks for your two cents, Pona. Your son has great style. Being a hat advocate, I truely love his hat. I haven’t had to have such a conversation with my son yet as he is only 19 mos old, but I’m sure it will happen as I have an earring myself. I think the way you are handling it makes sense… and your boy has some good insight as well. He sounds like he’s ready for one. He’ll be a trailblazer for his friends. Great feedback. Thanks for reinforcing my approach. Well – why not? My daughter got hers when she was eight, and I’d let my son do the same if he wants to. It’s not really that big a deal – if you in the end it’s not working for me, take the ring out, let the hole heal, end of story. So – what’s the worst that could happen? I agree with Ellen – I wouldn’t let a 4 or 5 yo (boy or girl) do it. But at nine I don’t see a problem. Let him try and learn for himself what kind of reactions it brings, and how he likes that (or not). Very reasonable advice. Thanks, Lars. I’m thinking that this is what I’ll do, after a period of waiting — just to see if he still wants it in a year.